I’m SO upset! My friend was saying mean stuff about me on social media, so I said something mean back. Then her mom told my teacher and now my teacher says I’M cyber bullying. IT’S NOT FAIR! I’m mostly upset because I feel like my mom is ashamed of me. She said that this could affect my school grades because I’ve always been a top student. 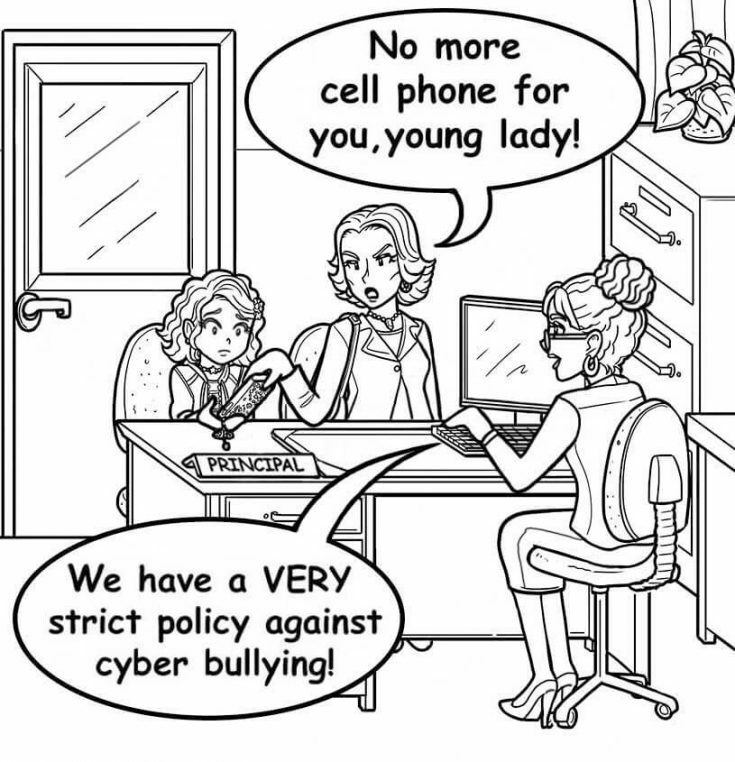 My teacher also wrote me up, saying that I’m cyber bullying—what if I have to speak to the principal?!! My teacher thinks I’m a bully and my mom is making me delete my social media. Everyone is mad at me! PLEASE HELP!! OMG! Okay, first of all, THANK YOU for being honest. I get a TON of mail from people who’ve been the target of bullying. But rarely does anyone admit to doing some of the bullying themselves. I think your mom and teacher are really upset because they know how bad cyber-bullying is. Cyber bullying is NOTORIOUS for making a lot of kids’ lives MISERABLE. So, they want to take serious action before it really gets out of hand. This one incident is not going to affect your grades. I think your mom just doesn’t want your teachers to see you as a troublemaker. It’s SUPER important to make sure this never happens again. Or if it’s happened before and you just didn’t get caught, make sure it stops here. Although this has been a bad experience for you, you learned a very valuable lesson the hard way. Cyber bullying is unacceptable behavior. Next, make sure your mom and teachers know how genuinely sorry you are, and how you want to earn their trust back. Then do just that—focus on your studies and on being a good person. I promise that it won’t be long before everyone has moved past this. It won’t follow you forever. We all screw up. And we all deserve second chances. Your mom and teacher want you to be the best person you can be—that’s why they’re holding you to a strict standard. But, I’m sure they also understand that nobody’s perfect. What would you do if you were in this situation? Do you have any advice for Social Media Meltdown? Tell us in the comments below!